An endless 22 years passed between Slowdive’s recently released self-titled LP and its predecessor, 1995’s ambient tone poem Pygmalion. As Zach Schonfeld notes in his review, remembering Slowdive is like remembing a dream; their gauzy, processed guitar textures and the ethereal vocal interplay between Neil Halstead and Rachel Goswell seem like a hazy fantasy more than a concrete reality. But the Berkshire-founded quintet fortunately proved its corporeal existence through a current tour, including a sold-out, two-show stop at Brooklyn Steel last week. The band swam through its discography, including cuts from its pioneering shoe-gaze masterwork, Souvlaki. Photographer Drew Reynolds captured the show’s tidal wave of light and fury in the gallery above. 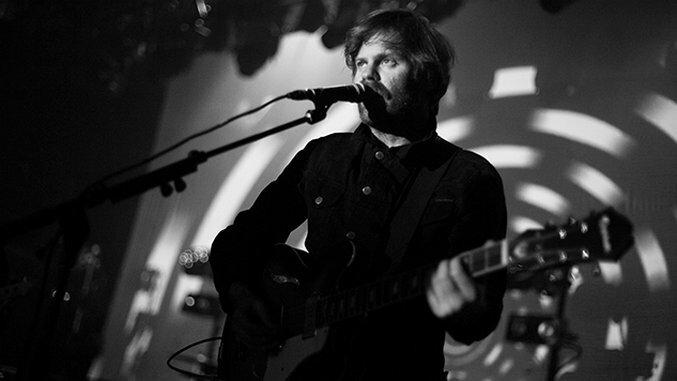 Slowdive is playing select international dates and festivals into September.